You Don't Vote, you DON'T COUNT! In my experience the biggest reason people (those who admit they won't/don't vote) don't vote, is because they feel like their vote does not count. Especially after the 2000 Presidential Election, my generation has lost their trust in the political system. I can definitely understand where they are coming from. However, I believe the fact that most voters do not know how the Presidential election really works, is likely the biggest reason why they believe their vote does not count. That's okay. I am more than happy to provide a quick lesson on "how your vote counts" / "how the Presidential Elections works"/ "How votes are calculated" in a Presidential race. First off, the Presidential race is not like your High School Homecoming race. In other words, this is not a popularity vote, the person with the most individual "tally marks"/names on a ballot do not necessarily win the race. The Presidential Race is a STATE ELECTION. This means you are voting on behalf of your state. You are voting to declare where you want your state to delegate its electoral college votes. So, basically your Presidential Vote is a vote on behalf of all the citizens in your state. You are in essence battling your neighbor to determine which candidate you think best addresses the needs/desires of the citizens in your state. The popular candidate vote in your state, likely* gets more of the electoral college votes designated for your state. The Presidential Candidate with the majority electoral college votes from all states, wins the Presidency. Think about it. You're driving in traffic and you see a disgusting bumper sticker bashing the candidate that you think is best to run this country. 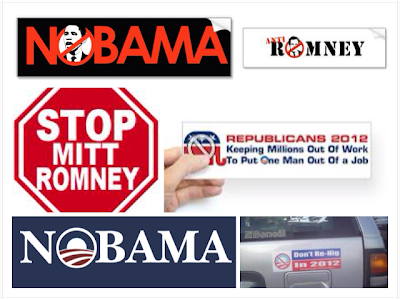 If they bought a bumper sticker, you can bet your bottom dollar they are going to exercise their right to vote. When the polls open that driver is first in line to vote against you and your candidate. Imagine there is many more people who share the same views as the driver with the disgusting bumper sticker and they all go out to vote. On the other hand, you and several others like you, disagree with the opposing candidate, but you don't go out to cast your vote for the candidate you believe is best fit to represent your state. Your thoughts, your opinions, your disagreements, DON'T count against the group of individuals who take the time to bash your candidate by purchasing a bumper sticker, because you did not Vote! Don't go unheard, go vote, be COUNTED! 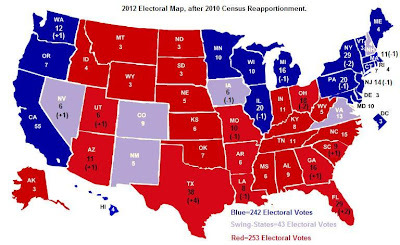 * There are a few happenstances that can occur that may cause some electoral college votes not to go to the candidate with the popular vote. The law in each state determines if the members of the electoral college have to vote the same way as the popular majority of citizens in their home state. However, the above description is how the electoral college generally works. You are encouraged to do your own research on the Electoral College and how votes are weighed and counted. I have yet to finish Russell Simmons' book "Super Rich" (don't judge me, I read law books all day and night). But, what I have read so far, I have internalized. Click the above link to get the idea behind the book. In the book he talks about how we can achieve an ultimate "happiness" when we are in tune with our natural gifts/talents and when we use or talents to contribute to the world. Simmons believes that if you perfect your craft and first give it freely to the world, the world will notice your passion and in turn seek you out to request more of what you produce with your crafts/talents. With that being said, I am a huge fan of D.I.Y. projects. I've designed and made several different t-shirts ranging from print to tie-dye. I've designed elastic bracelets that I sold for a breast cancer fundrasier (which is coming back again for the month of October). And most recently, I've created my own custom beaded bracelets. Bracelets are currently a "hot" fashion accessory. 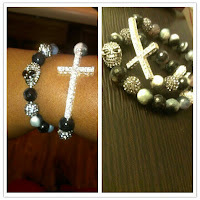 My first instinct when I saw others selling their bracelets was, "I can do that". Why buy from you, when I can make that myself? (no disrespect to those who craft their own pieces, I often have that initial thought. I am a DIY junky.) So, that's exactly what I did. I made myself two bracelets, based off the designs and colors that I liked and also had not seen before. Naturally, others noticed my pieces and asked where I got them. Being able to say "I made it", is the ultimate high for someone who enjoys DIY projects. So, when the opportunity presented itself for me to make pieces for others, I took it. The great thing about the opportunity is, making the bracelets are the best part. Its not work because I enjoy doing it. Making a profit is just icing on the cake. I've completed three orders already, just from a post on instagram. I will be posting pics of those on my instagram RellesLaw! 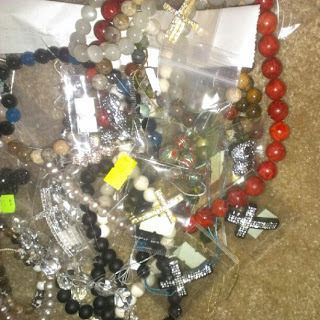 I am selling each bracelet for $15 with free shipping. The price is lower than any I've seen, and I think $15 is a nice price to pay for a custom piece that you won't find on anyone else's wrist. Let me know if I'm wrong. Interested in your own? Visit my instagram and comment and/or email me Shirrelle@talkstillCheap.com You design it, pick your own colors and your own jewels. Thanks for the support! 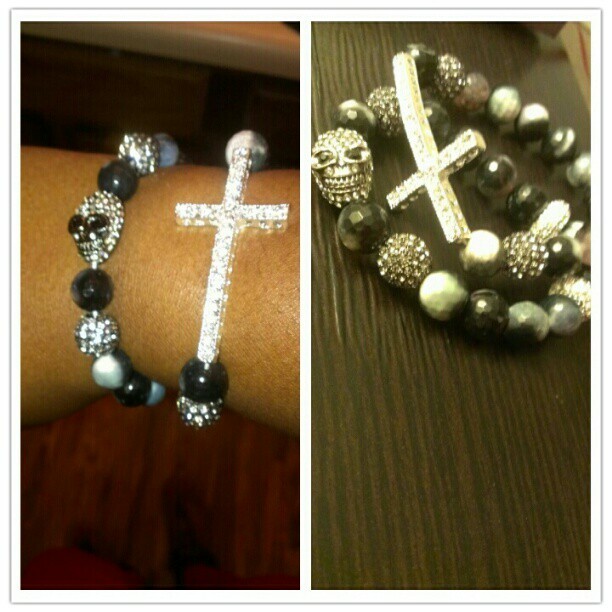 Order yours before I just make myself a boat load of bracelets! ;) You can also COMMENT on this post!